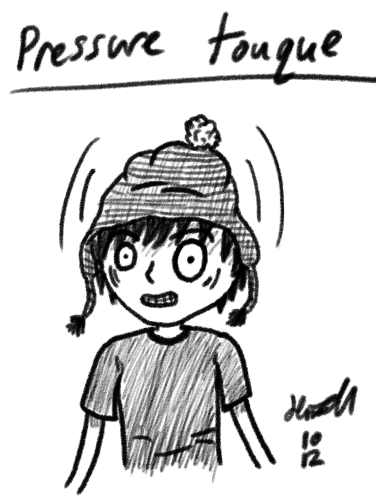 Stray Scribbles - "Pressure Touque"
Artists’ block? Take two random words (ask some friends if you can’t think of any) and draw them together! I drew this a while ago but only uploaded it to the Facebook page.